This method delivers radio waves through the use of fine needles also called as microneedles on the affected dermis. The needle used is adjusted between 0.5 to 3.5mm depending on the target area and the deepness of the needle is to be injected below the skin surface. Find an apt RF Laser Treatment in Mumbai at Sakhiya Skin Clinic. Needle Radio Frequency provides solution for numerous epidermis and dermis problems. It is a proven effective anti ageing treatment. Apart from this, it is also helpful in scar removal, wrinkle removal and skin rejuvenation. 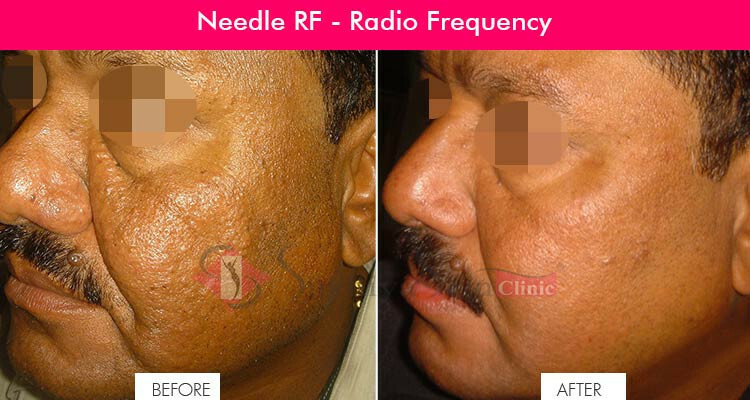 Also, you can enjoy affordable RF Laser Treatment Cost in Mumbai at Sakhiya Clinic.